The Academy is part of the American Society for Microbiology, the world’s oldest and largest life science organization. Fellows are elected annually through a highly selective peer-review process and are chosen based on their scientific achievement and original contributions that have advanced the field of microbiology. Dyhrman leverages molecular tools to study the physiological ecology of marine microbes and their role in shaping marine ecosystem structure, function, and biogeochemistry. She’s received research support through the Center for Climate and Life’s partnership with World Surf League PURE and is a member of the Center’s internal scientific advisory board. She graduated with high honors in biology from Dartmouth College and received her Ph.D. in marine biology from Scripps Institution of Oceanography. 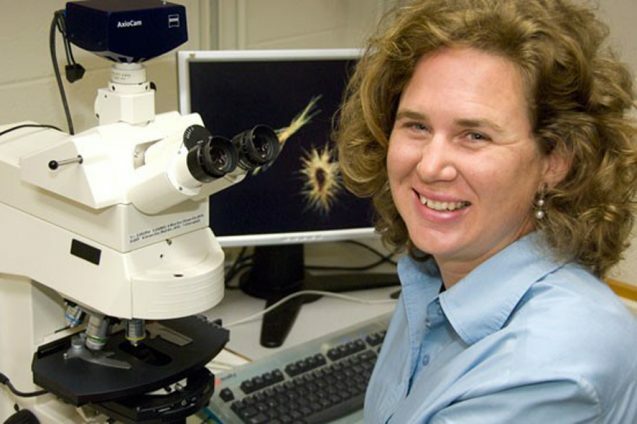 Dyhrman completed her postdoctoral training at Woods Hole Oceanographic Institution (WHOI), where she was a tenured member of the scientific staff until she joined Lamont in 2013.